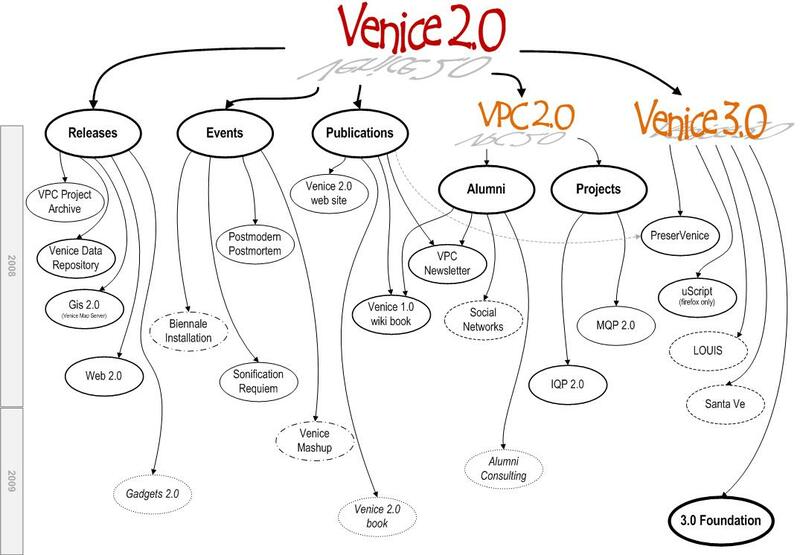 To celebrate the 20th Anniversary of the Venice Project Center, we are initiating a number of activities that will take place in 2008 and 2009. This wiki is intended as a tool for all those involved in all the initiatives, to keep track of progress and goals. By coming back to this dashboard, one can get "the pulse" of the overall project. 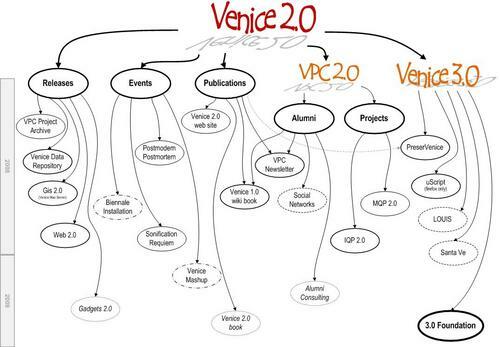 Start by looking at the Big Picture diagram (click ovals for more details). Each of the initiatives listed below will have specific people in charge of them, and each will attempt to be self-funding. There is a lot to do, but if we build a good team we can get it done! If you need help with any of the various pages and systems, click here. Please report bugs or make suggestions on any of the items listed below by clicking here. Alumni Consulting [web, wiki]- Alan "Chip" Hassett?